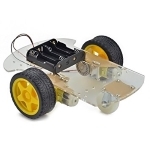 We will learn how to assemble 2WD smart robot chassis. Robot chassis has a stick-on paper covering. Remove it if you want the clear plastic to be shown. Attach the caster wheel. It swivels around to allow robot movement in any direction. When you assemble this later make sure you use the 4 bolts with large heads, 4 copper collars and 4 small bolts. Attach the four acrylic brackets to the robot chassis. They have stick-on paper covering. Remove it if you want the clear plastic to be shown. Prepare two DC gear reduction motors ( If you have motor without wires attached then you need to solder them to the motor. Strip out the insulation from the wires (black and red) at each end (if it's not done already), solder the wires to the motor terminals. You can check the motor polarity by connecting it to the battery pack. If it rotates in forward direction (red wire with positive and black wire with negative terminal of the battery) then the connection is ok). Insert each DC gear reduction motor between acrylic brackets and attach them using two long bolts and two nuts for each motor. Each DC gear reduction motor has 2 wires attached (black and red). Make sure that the wires go towards the center of the robot chassis. We have two encoder discs to attach to each DC gear reduction motor in this set. We are not using them now as you need to have a more complex software to measure the wheel rotation. However we show how to attach them. Each wheel has holes with two flat sections. Make sure you line this up with the motor shafts later when you attach them. Power switch (optional). 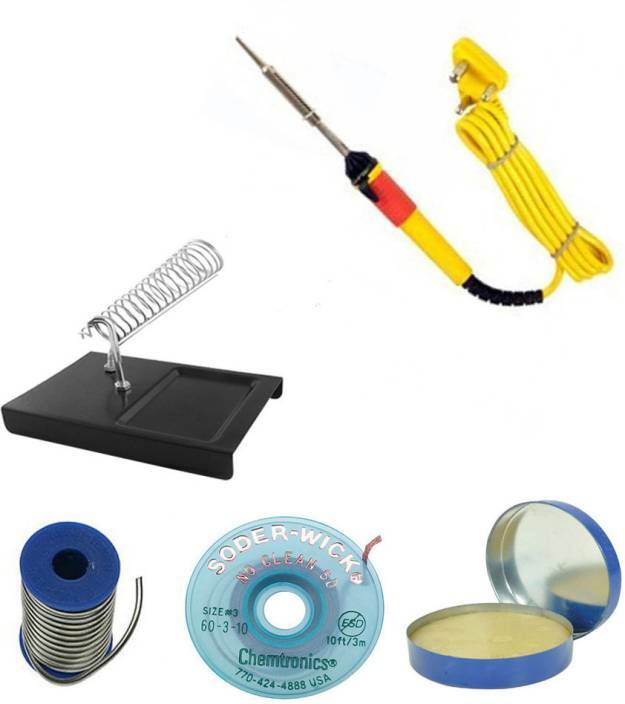 If you have it in your set and are planning to use then solder 2 jumper cables to it if it's not done already (we suggest to use F-M type). Line up the power switch with the rectangular hole in the center of the robot chassis and PUSH it down into position. This may take a strong person with strong fingers! NOTE: The switch has a dash or red dot showing the ON position. We suggest you point it toward the front (wide end) of the robot. You can use 2 jumper cables F-M and solder them to 4x 1.5V AA Battery Box Case Holder if you are planning to use power switch or connect 4x 1.5V AA Battery Box Case Holder directly to motor driver board. 4x 1.5V AA Battery Box Case Holder can be attached to the robot chassis with 2 medium size bolts and 2 nuts or with double side adhesive tape. 2WD smart robot chassis assembled. The other bolts and nuts we will use to attach modules, extention boards, sensors). 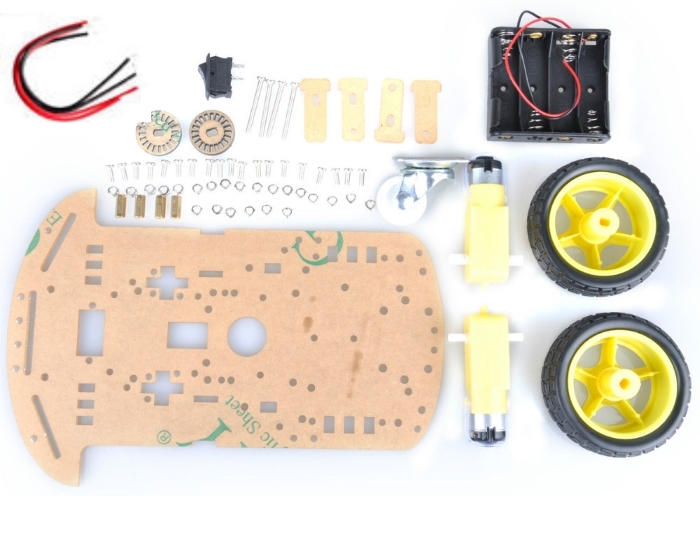 See How to build the 2WD smart robot car Part 2. We have learnt how to assemble the 2WD smart robot chassis.